There were 1,304 businesses registered in Buckinghamshire in the final quarter of 2018 (October to December), according to Companies House. This took the total new registrations in 2018 to 5,195, the highest four quarter total since Q2 2017. 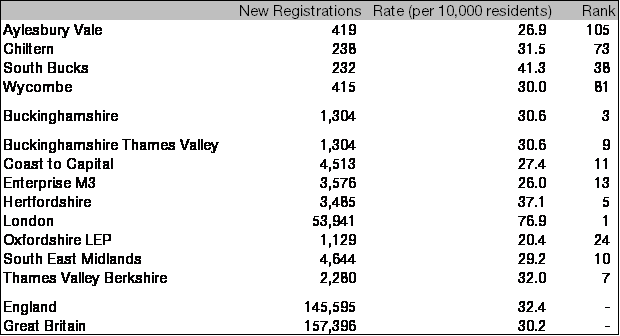 Registrations in 2018 were 8.9 per cent higher than in 2017 but 0.3 per cent below the 5,215 registrations made in 2016. 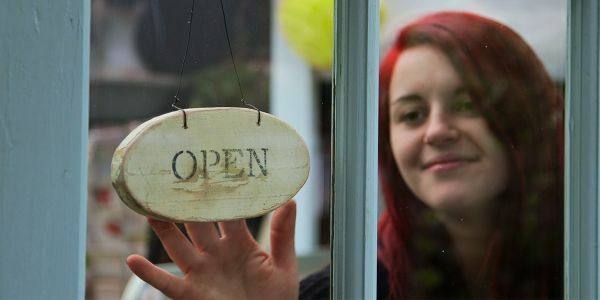 Only nine of the 38 Local Enterprise Partnerships bettered England’s rate of new company registrations in the last quarter, with Buckinghamshire ranking 9th with 30.6 registrations for every 10,000 residents aged 16 or over. 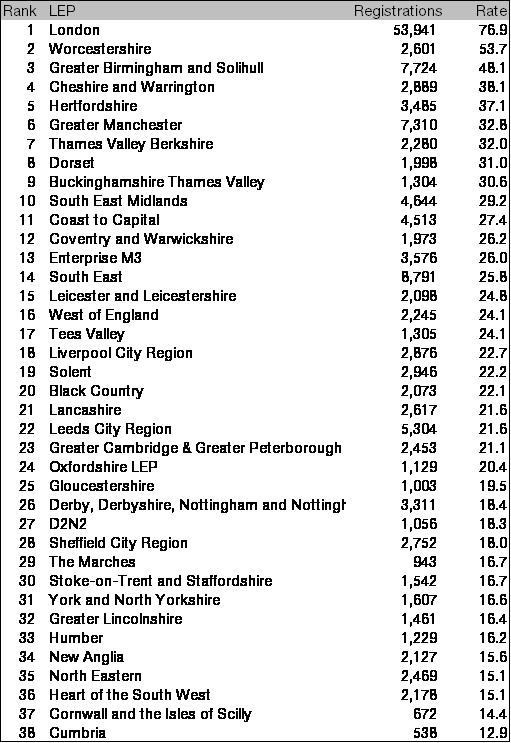 Buckinghamshire ranked 3rd among county council areas behind Worcestershire (53.7) and Hertfordshire (37.1). 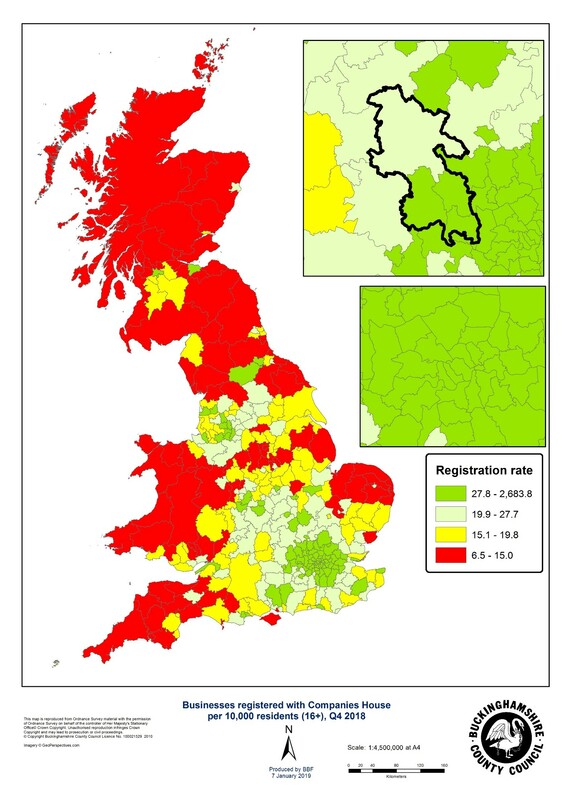 South Bucks recorded Buckinghamshire’s highest new registration rate with 41.3 registrations per 10,000 residents aged 16 or over to rank 38th among the 380 local authority districts in Great Britain and 14th highest outside London. Chiltern also bettered the national rate at 31.5 to rank 73rd, ahead of Wycombe (30.0, 81st) and Aylesbury Vale (26.9, 105th). Companies engaged in other business support activities were the most commonly registered businesses in Buckinghamshire in the last quarter, with 93 registrations accounting for 7.3 per cent of the total ahead of management consultancies other than financial management (83, 6.3). Other common business activities included information technology consultancy activities (57, 4.4), other service activities (50, 3.8), the buying and selling of own real estate (44, 3.4), other letting or operation of own or leased real estate (34, 2.6), and retail sales via mail order houses or via Internet (30, 2.3). The geography of new company registration is presented in the map at the end of this bulletin. 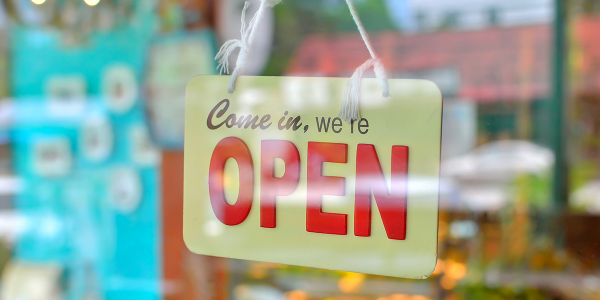 There were 1,247 businesses registered in Buckinghamshire in the second quarter of 2018 (July to September), according to Companies House.